One Yoga celebrates its 6th anniversary this month. The official opening of the studio was December 26th 2011. In the six years since opening, the studio has grown twice, moving into a larger unit in March of 2012 and then expanding into a neighboring unit in 2015. We now occupy over 3000 square feet, with two yoga studios, a private room dedicated to Acupuncture and Massage, a second private room dedicated to life coaching and mental health counseling, a private personal training studio, a large lounge and retail area and four restrooms. This past year the studio navigated yet another shift as one of the owners chose to move on, leaving Gina Keefe to continue the stewardship of One Yoga on her own. The studio has since evolved, grown and taken on new dimensions and life, becoming a true haven for health and healing. With a dedicated teaching staff, and a team of skilled specialists offering their individual healing modalities, students can depend on One Yoga to be one center for complete wellbeing. In the upcoming month the studio will be lively with classes, as well as workshops and events including a Funky Flow and Glow in the Dark Yoga Friday December 1st, A Holiday Chakra Balancing Workshop Friday December 8th, and Yin Yoga to Live Music Sunday December 17th. Please take time to read through the details of the offerings below. During the holiday season it is so helpful to take time to touch down on our mats and practice. A quiet Yin class can be great medicine for the overstimulation of the holidays, a Warm Power or Flow Class can help you to move and detoxify your body and mind from overindulging, an aerial class can be a fun outing with visiting family members. Whatever your needs, One Yoga has a class that will be just right for you. 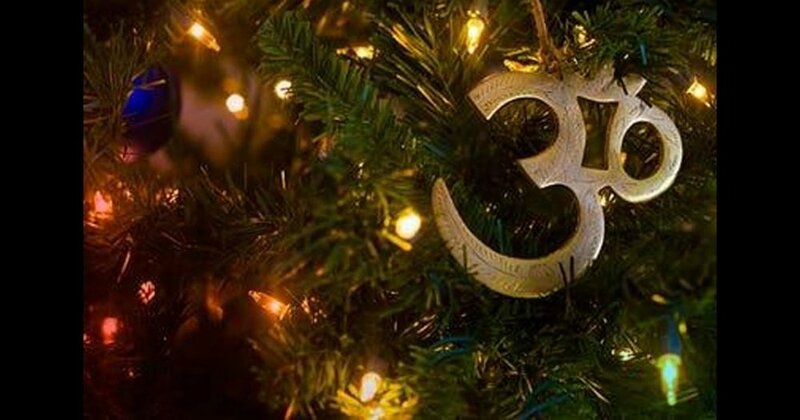 Enjoy the season from a place of being grounded, centered, and balanced. Finally, thank you for choosing One Yoga as your yoga hOMe...it is an honor to serve you and to share the many blessings of yoga with you. Shine brightly, the world waits in the darkness for the light that is you! IN THIS TECHNIQUE YOU ARE MOVED AND SUPPORTED IN YOGA POSTURES BY THE YOGA INSTRUCTOR. ALSO KNOWN AS “LAZY MAN’S YOGA”, THE INSTRUCTOR DOES ALL THE WORK FOR YOU! Imagine stretching your body in a way that combines the effects of yoga and meditation with an assisting guide. That is the secret to Assisted Thai Yoga. Based on Nuad Bo-Rarn, the ancient massage style of Northern Thailand, Thai Yoga is a dynamic, therapeutic approach to healing that uses assisted yoga stretches, and passive stretch to promote physical, energetic, and spiritual healing. This deeply relaxing, pain relieving, and soul retrieving blend of assisted yoga and mindful movement encourages increased range of motion, relief of pain and muscle tension, muscle lengthening and flexibility, and improved lymph and blood circulation. This is an all levels chillin evening flow. Options will be given. The multi-part workshop series will be your mini spa self care during the holiday season. Regardless if you observe the upcoming holidays or not, it is likely that your routines will be disrupted and your energy will shift. Set aside time for a relaxing evening of practice, essential oils, chakra balancing, and guided meditation to help you stay balanced and calm through the season. Workshop Two in the Four Part Holiday Series with Nikki will be a water focused practice to open and balance our 2nd (passion) chakra, preparing us to be able to go with the flow and enjoy the connection of the holiday season. Workshop will include essential oils, an introduction to chakras, a physical practice and a guided meditation. In this Workshop we will discover and connect to our personal power, (our 3rd chakra), igniting the flames of our drive to accomplish all that we desire for the coming year. This workshop will focus on the heart chakra as we are guided in a practice that will open our hearts to self-love, grace and compassion.